A topic that frequently comes up in healthy hair care is protective styling. A protective style is defined as a style that protects your ends from the environment and excess friction by keeping them off your clothing, shoulders and away from the air and other environmental stresses that can potentially cause breakage. There are two types of protective styling: complete and low-manipulation. Complete protective styling involves the hair being up off of the shoulders as well as the ends being tucked in away from the elements. A few examples of complete protective styles are buns and tucked-in french braids. 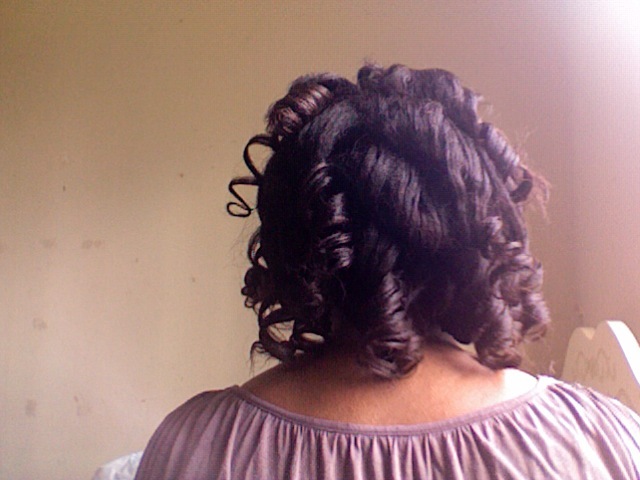 Low manipulation protective styling, however, just requires that the hair is either kept off the shoulders, for example: braid-outs/twist-outs that are above the shoulders or pinning up the hair (without the ends being tucked in). This type of protective styling, however, can leave the very ends of the hair vulnerable to more weathering and environmental stress than complete protective styles. Protective styling is a great weapon in the fight against breakage; since these styles require less heat and keep the hair moisturized for longer periods of time than styles where the hair is left free, there is less opportunity for breakage to occur which leads to the hair retaining more length and keeping ends that are in good condition for longer periods of time. Protective styling has definitely aided my length retention over the last year or so. It certainly helps keep the hair safe, especially in conditions where the hair cannot be treated appropriately or you lack the time to deep condition, moisturize and seal, etc. Although protective styling is often touted as one of the most important hair techniques, it is definitely possible to attain your desired length and hair health without protective styling--it may just be a more difficult and lengthier journey without protective styling. In a regimen in which this is absent, there are fewer areas in which you can slack off. That certainly means that you have be sure that your regimen is protective in other ways; whether that is by deep conditioning, moisturizing and sealing or avoiding direct heat. There is also certainly a dark side to protective styling; from personal experience some of my worst breakage incidents came from not being sure to switch up my protective styles and not making sure that my hair was adequately balanced before putting it into a long term protective style. Just be sure to vary your protective styles and to be sure to assess the moisture/protein balance of your hair frequently to make sure that your hair is being properly cared for. If incorporated correctly, a combination of treating the hair and protective styling can yield amazing results! For a great example of the power of protective styling click here to view an article by Nadege of Relaxed Hair Health. improve the condition of your hair?